The team here at the Mount Washington Valley Ice Fest is excited to reach out to all you passionate outdoor enthusiasts! The Mount Washington Valley Ice Fest draws climbers from across the U.S. and around the world, offering skills clinics, gear demos, slide shows, and climber parties in one of the worldʼs most concentrated and accessible ice climbing locations. 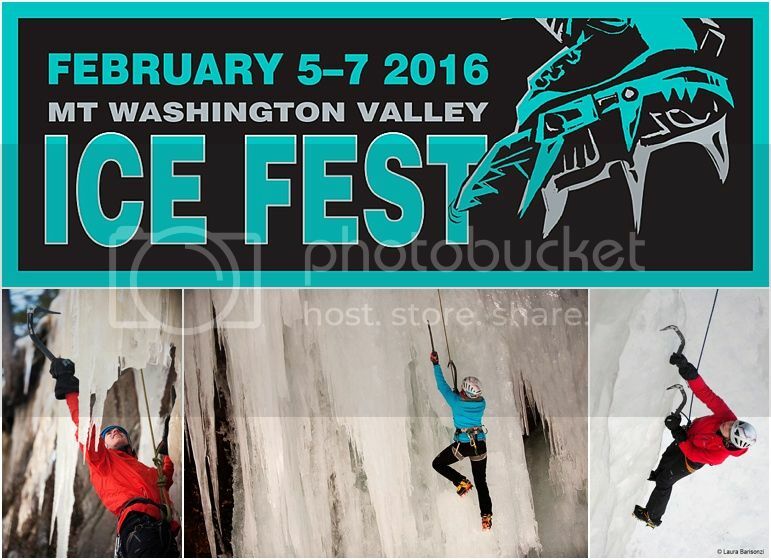 Ice Fest embodies the scrappy spirit of the New England climbing community, its richness of history, and character. 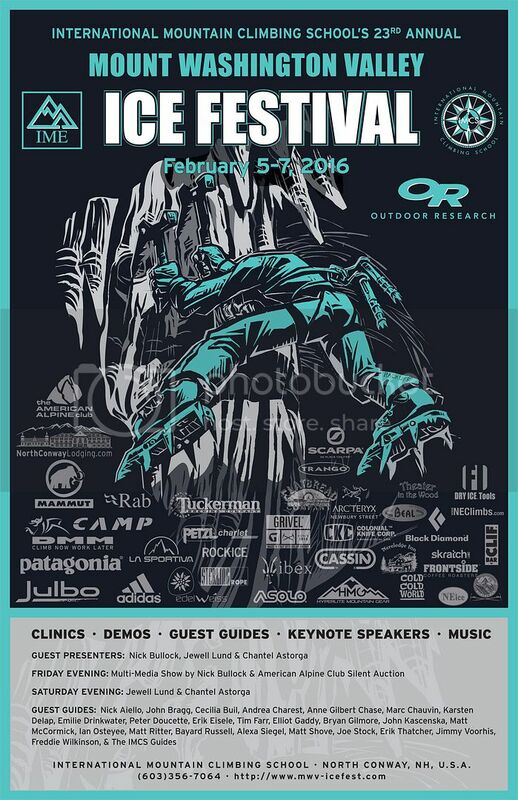 Highlights of this years event includes: Free gear demos from the top climbing companies, Tuckerman Brewery beer (21+ of course! ), raffle, Friday evenings show by Nick Bullock and Saturday evenings show by Jewell Lund & Chantel Astorga, and Apres Climbing hour at the historic climbing shop IME! Do you want to take your steep ice climbing technique to the next level? We have an incredible line-up of talented guides that are psyched to help you! For more info, visit the blog: http://www.mwv-icefest.com/blog/. Sign up soon because these clinics fill up quick! The Mount Washington Valley Ice Fest is almost one week away! Clinics are filling up FAST, especially on Friday and Saturday, and we still have some space on Sunday. Ice Climbing 101 course, and it’s 10% off! Have a friend who has always wanted to try it, or have you always wanted to try it? This is the time to get hooked! Hardman Clinic: Climb the hard classics!